Alaina Anderson is a social media influencer and model who rose to prominence as a result of her relationship with the NBA (National Basketball Association) player, Derrick Rose. Though the model owes her popularity to her husband to a large extent, she has been able to make a name for herself in her field of endeavor. Before fame, Alaina had no connection to the spotlight because she was relatively unknown to the public and media. 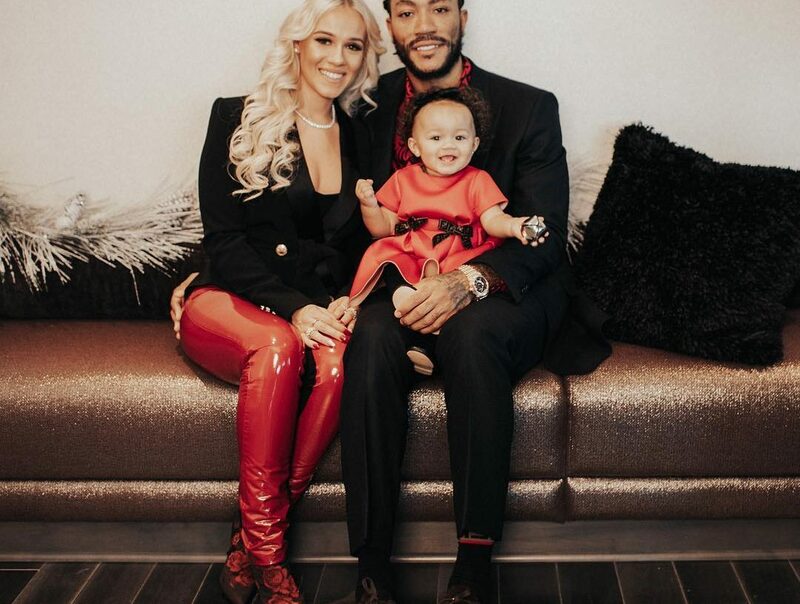 However, a lot of things have changed since the basketball player officially introduced her as his better half and also made her the mother of his kid. We have answers to questions bordering on who Anderson is and other lesser-known facts about her. Ever since Alaina came into the life of Derrick, people have been curious to know more about her personal life and profession. Sadly, the model has not really seen the importance of sharing her personal information with the public and this makes it really difficult to give comprehensive details about her life. Nevertheless, we can establish that she is a citizen of the United States of America. She is the daughter of Angela Kathellen Anderson (mother) who gave birth to her on the 15th day of November 1994, in Illinois, in Chicago. She reportedly has two sisters but their names are not unknown to the public. During her high school career at De La Salle High School, Anderson was a cheerleader. She attended the University of Illinois at Chicago and later graduated upon completing her studies. Alaina Anderson is a beautiful model who boasts a massive following on her social media pages. She often shares pictures of herself in fancy clothes for her fans. Although the year and location where she launched her career is not a matter of public knowledge, she appeared to have come a long way in her field of endeavour. Anderson began dating Rose in the year 2016. The pair took their relationship to another level two years later when they allegedly eloped and married secretly after the player took time off from the 2017-18 season. The two share a daughter named Layla Malibu while Alaina is also a stepmother to his first child, a son named Derrick Rose Jr (born 2012). The younger Rose came from Derricks relationship with stylist and entrepreneur, Mieka Reese. A graduate of Wheeler High School and Clark University, Reese was previously engaged to the NBA point guard until 2013 when they went their separate ways. 1. While her celebrity husband reportedly has an estimated net worth of $85 million, Alaina is said to have made approximately $500,000 from her modelling career. 2. As an Instagram sensation, she has more than one hundred forty people following her on the platform. On Twitter too, she enjoys a massive audience who are in love with her modelling and lifestyle pictures. However, it is not clear if Derrick Rose’s wife is on other social media outlets such as Facebook and Snapchat. 3. Alaine Anderson is naturally blessed with admirable physical features and body build which obviously suit her highly competitive career. As for her height and body weight, they are measured to be respectively 5 feet 5 inches or 1.65 meters and 60 kilograms or 132 pounds. The body statistics of the model is 33 inches (breast), 29 inches (hip), and 35 inches (waist) while her bra size is 33B. She has a pair of black eyes and blonde hair. 4. The Instagram star is very close to her family, especially her grandmother who she often mentions in her videos. 5. She has a dog called Louie. The four-legged animal was born on 18th March 2017, according to his Instagram page. 6. Her husband currently represents the Minnesota Timberwolves in the basketball league.